If Selena Gomez had a dime for every follower she had on Instagram... oh wait she does. The 24-year-old has just signed a $10million deal with Coach to become the face of the brand. In addition, the singer will also design her own line of luxury accessories, Page Six reported on Sunday. Despite having not posted anything in two weeks, the former Disney starlet remains the most popular person on Instagram for the second year running, with 104million followers. She has been easing herself back into the spotlight following a three month stay in a Tennessee rehab facility for 'anxiety, panic attacks and depression'. The Heart Wants What It Wants hitmaker made her first public appearance in months at the American Music Awards on November 20. The pop star has been praised for her brave and tearful acceptance speech after winning the Favorite Female Pop/Rock Artist award. 'In 2014 this stage was actually the first time that I was authentically 100% honest with all of you,' she said as her voice shook with emotion. 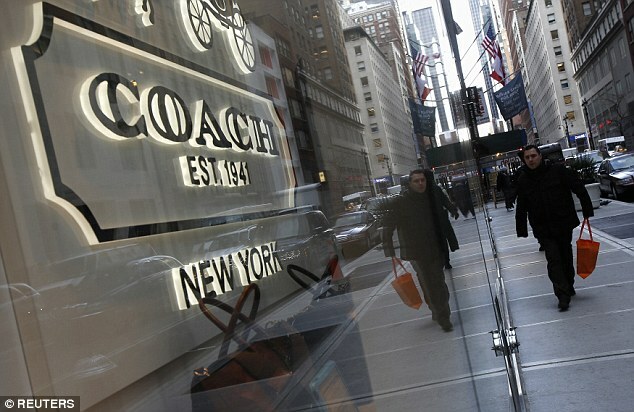 Coach meanwhile celebrated its 75th anniversary on Thursday night with a star-studded party at New York's Pier 94. Zoe Kravitz, Emma Roberts, Olivia Culpo, Drew Barrymore, Michael B. Jordan, Diplo and Riley Keough were among the stars on hand. Despite the impending partnership announcement however, Selena was not. Milestone: Coach meanwhile celebrated its 75th anniversary on Thursday night with a star-studded party at New York's Pier 94, with Zoe Kravitz among the attendees.